When NASCAR returns to road course racing on Sunday at Watkins Glen, road-ringers Marcos Ambrose and Boris Said will arrive as the early favorites. Although Ambrose enters the Glen 28th in points, the Tasmanian is riding a steep wave of momentum. Despite announcing that he will leave JTG Racing at season’s end, Ambrose is finding himself an appealing option for several successful Cup teams, including Richard Petty Motorsports who reportedly appeared ready to sign the former V8 Supercar champion. Ambrose should add to that resume on Sunday as the Glen is the Aussie’s best chance to find victory lane. Ambrose already has a second and third at The Glen and is hoping earn a ‘first’ on Sunday. Said will see a lot of The Glen, driving in all three touring series this weekend. In addition of driving for Team Red Bull and Brian Vickers in the no. 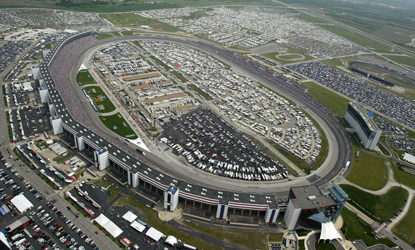 83, Said will also drive in the Nationwide Series and GRAND-AM touring car race. Said hopes that familiarity with The Glen will increase his own chances of winning come Sunday. 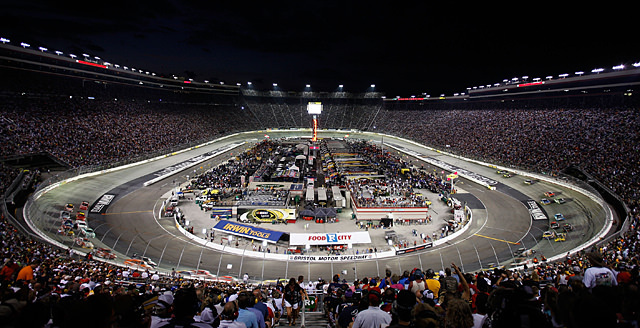 Read more about NASCAR’s ‘top roadies’ after the jump! Ambrose must be considered the heavy favorite on Sunday. 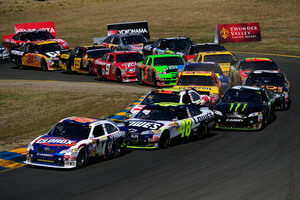 He should have won at Infineon in June if not for stalling his car over the final caution. Ambrose maintains ambivalence on giving up the win but his diction indicates a man eager to finish what he started in the California vineyards. No one is more well-versed in moving forward at The Glen than Ambrose. In just four races in the Cup Series, Ambrose has an average finish of 2.5 and has a Cup-level second-best driver rating of 106.9. Is Ambrose the favorite? Unlike Ambrose, Said is only running a partial schedule. Said has had success in one-off races but will drive for a new team on Sunday in Team Red Bull. “I haven’t driven the car yet but I know those guys,” Said said. “They have a class organization. Brian Vickers made the chase last year and he’s a really good friend of mine. 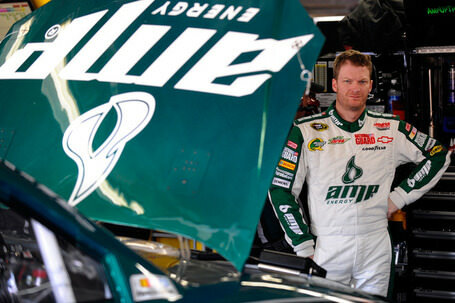 Amborse and Said are both looking for their first career Cup Series victory and could find it this weekend. The two will battle NASCAR’s best at the Helluva Good! Sour Cream Dips at The Glen Sunday on ESPN.